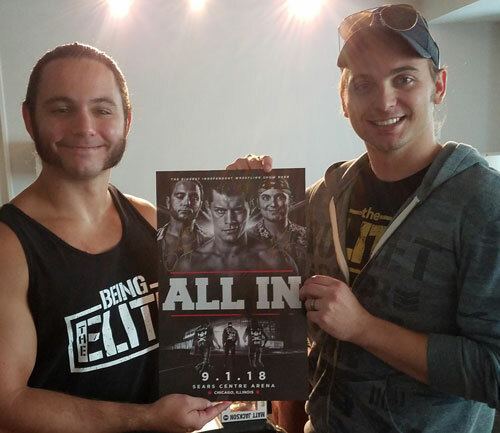 Get your official ALL IN event poster autographed by Cody & The Young Bucks! These are 11x17 and come in a protective sleeve! Only a limited amount is available so don't waste time grabbing these! 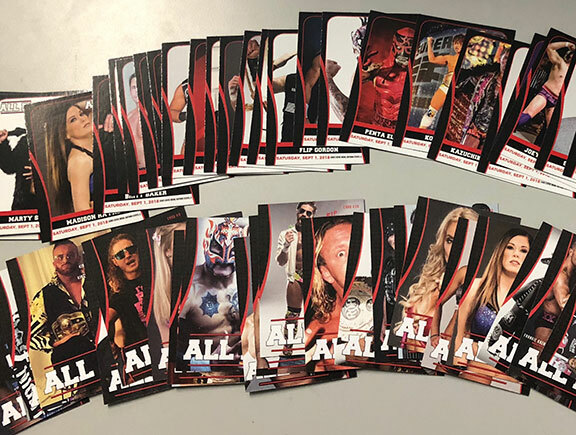 This is a 36-card set designed exclusively for the ALL IN Subscription Box last month. We took the extras to Chicago and only a few sets remain! 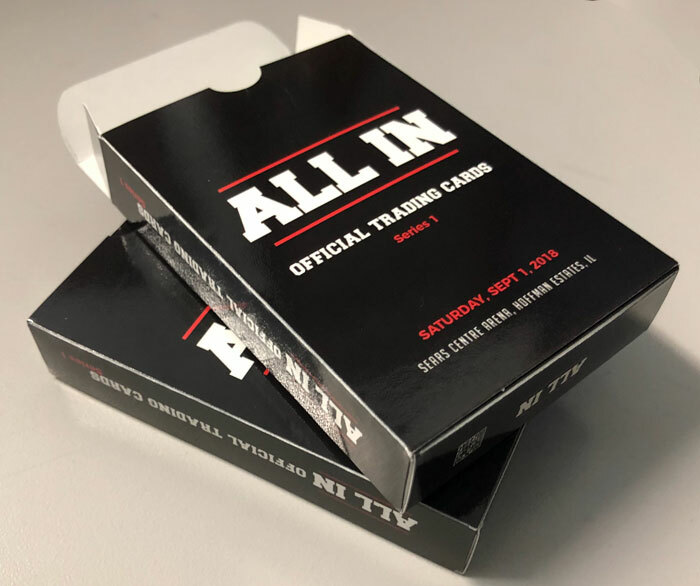 Comes packaged like a deck of playing cards. These look great!!! You can find this anywhere else! 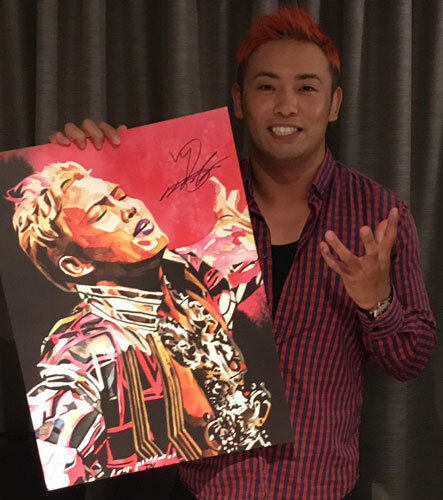 18x24 Schamberger print AUTOGRAPHED by Kazuchika Okada! A beautiful piece of artwork! 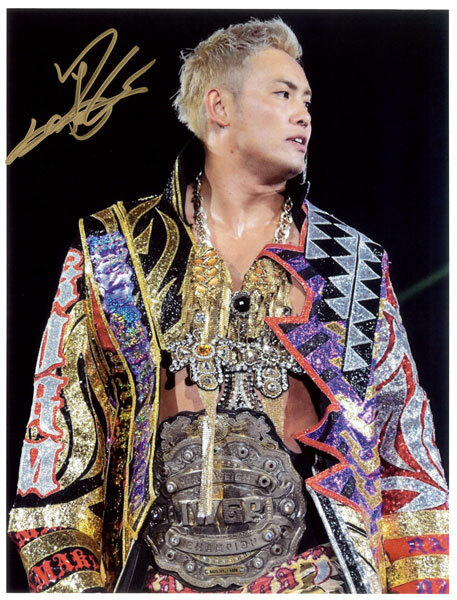 Choose from 5 different Okada AUTOGRAPHED Promo Photos! 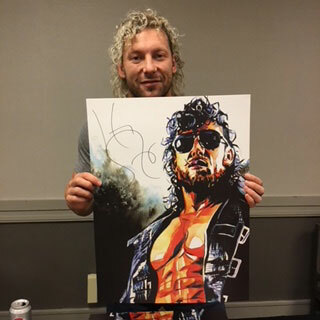 Get your 18x24 print AUTOGRAPHED by Kenny Omega! Yet another magnificent art piece by Rob Schamberger! 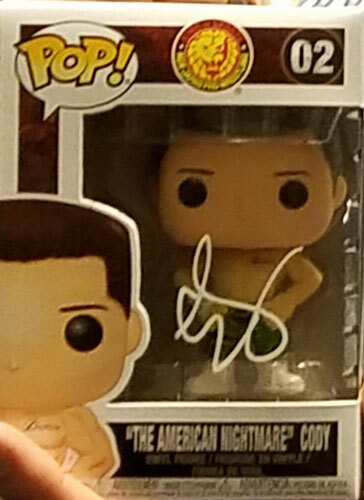 KENNY OMEGA NJPW FUNKO POP - AUTOGRAPHED!!! 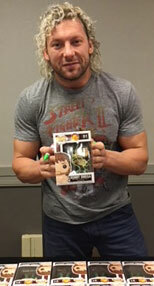 Pick up this NJPW Funko POP of Kenny Omega! 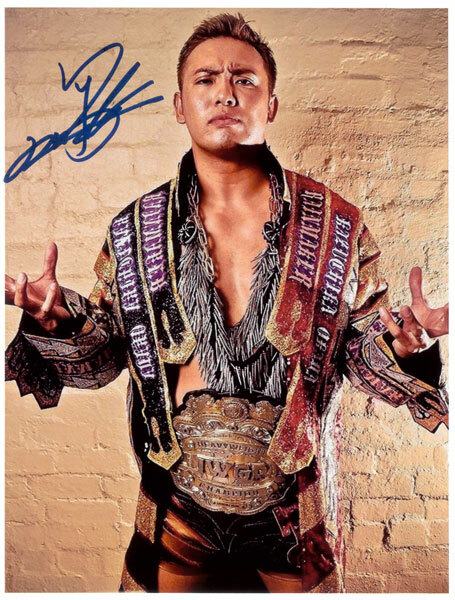 Autographed at ALL IN and comes with Certificate of Authenticity and stored in protective case! 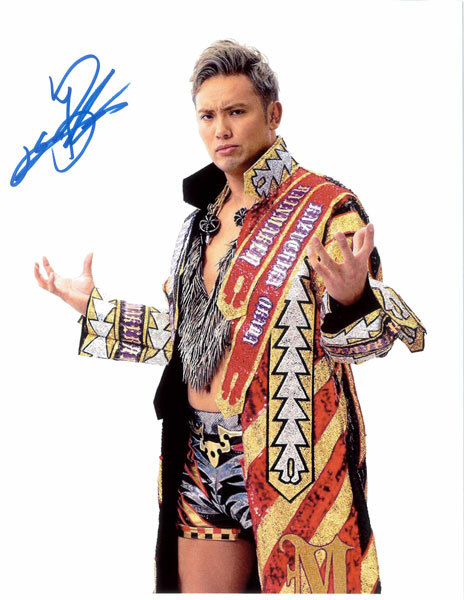 Choose from these new Kenny Omega promo photos AUTOGRAPHED by Omega at ALL IN! Rob never disappoints with his amazing artwork! 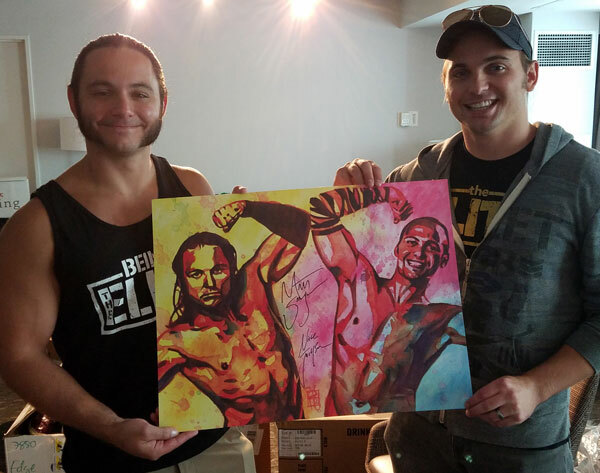 This is an exclusive 18x24 print AUTOGRAPHED by both Matt & Nick Jackson and comes with a Certificate of Authenticity and in a protective holder. 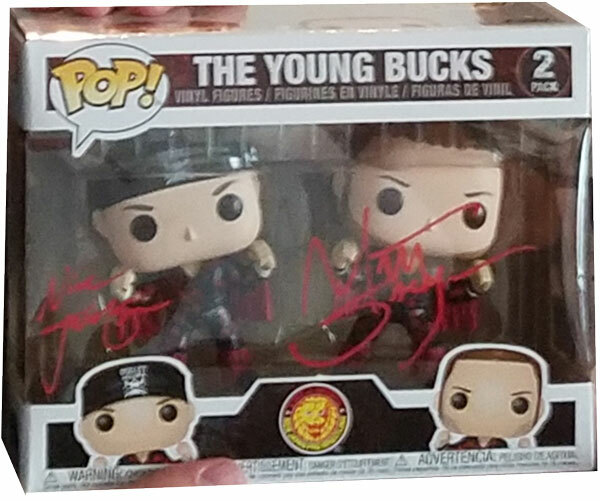 Pick up this awesome Young Bucks New Japan Pro Wrestling Funko POP while they last!!! 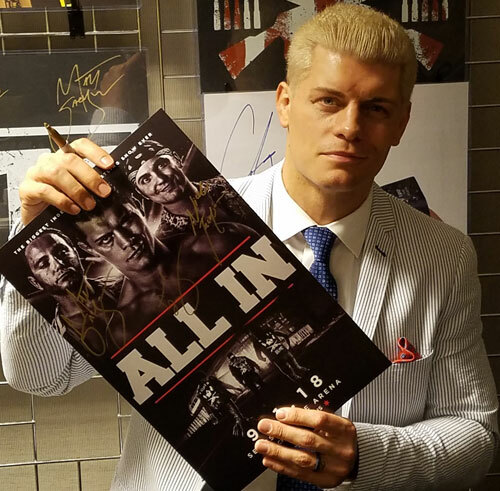 Limited availability on these AUTOGRAPHED Cody POPs!